I was hesitant at first to order prescription glasses of a brand I never had previously and from an online company. Everything worked out well, however,the view through these lenses is sharp which means that my prescription was rendered correctly. The amber lenses provide high contrast and are good in both sunny and cloudy conditions. My primary use of these lenses is eye protection when shooting and from my initial experience, they provide that comfortably. They are unnoticeable when wearing them in that activity, although you will probably need to wear them a bit to get used to the different feel of these glasses vs. the feel of most other sunglasses. As another reviewer noted, the Omega model fits larger heads well. My hat size tends to 7 ¾ and these glasses fit.The price is more than reasonable, so, all-in-all, high marks here. This is the first pair of prescription sunglasses I've ever purchased. I was nervous and skeptical ordering them online but could hardly find anyone locally that could make them. Those that would were quoting me $200 more than FramesDirect.com! I am very pleased with my new glasses! I love them and they've exceeded my expectations! Prior to placing my order FramesDirect answered several questions for me via email in a very timely manner AND they delivered a great product. I'm very satisfied with my experience and wouldn't hesitate to order again! Very nice, lightweight, prescription sunglasses. Looking forward to wearing them for years. 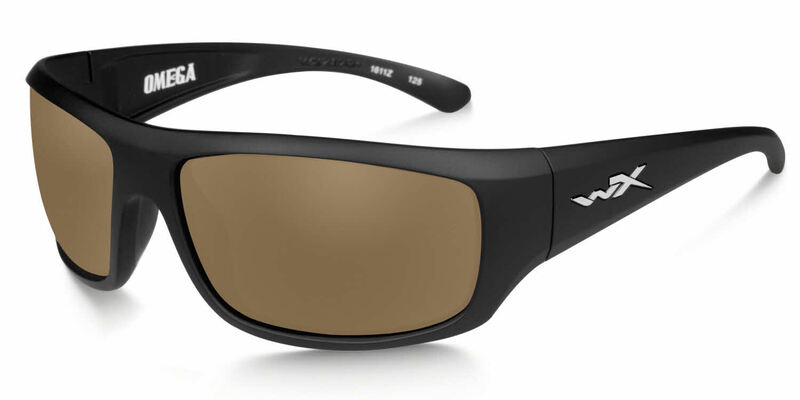 These glasses are spot on for a big head, rx lenses are perfect with the polarisation great for work and fishing. Glasses arrived in around 2 weeks from the USA to Australia.